You have a little bit hungry or you want to taste a dish for free without spending a penny? Eating for free in Paris is possible! Here is a list of good places to eat for free. Free appetizers in Paris are possible! – L’Olive in the 18th arrondissement offers a free plate of chips for the order of a pint of beer during the Happy Hour. – Au Penty in the 12th arrondissement, an appetizer is served for a drink or a cocktail ordered. – At the Culture Rapide in the 20th neighborhood a buffet of appetizer is served every Friday evening. – In Lockwood in the 2nd neighboorhood, free appetizers are served from 6pm. A complete free meal in Paris is possible! – At the Trois Frères restaurant in the 18th neighborhood, you can enjoy a free couscous-merguez on Thursdays from 9pm. – At the Tribal Café in the 10th neighborhood, you can enjoy a mussel-fries every Wednesday and Thursday evening from 9pm or a couscous every Friday and Saturday from 9pm. – A balanced meal will be served at the Association l’Un est l’Autre every Saturday and Sunday as well as on Thursday evening at La Villette in the 19th neighborhood. 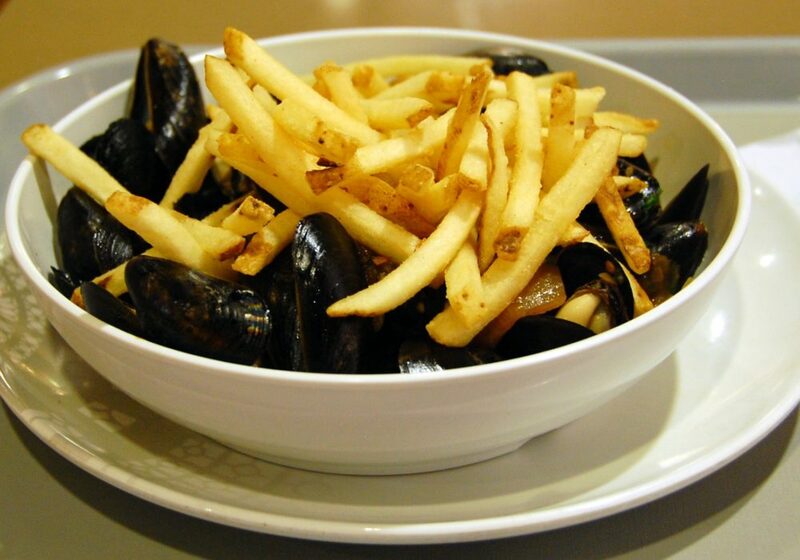 – Le Bouillon Belge in the 20th neighborhood offers a free mussels meal on Wednesdays from 5pm. – At the Grenier in the 11th neighborhood, a couscous is also offered on Friday and Saturday evenings. To benefit from more good plans and addresses, go to parisinfos.com. Eating in Paris is possible!